Randy on the 3rd lap through the CAT scales. Embarrassing!! This is our ACTUAL lift off into our 71717 Plan: full wanderlust. We spent all of June “living” in our travel trailer. 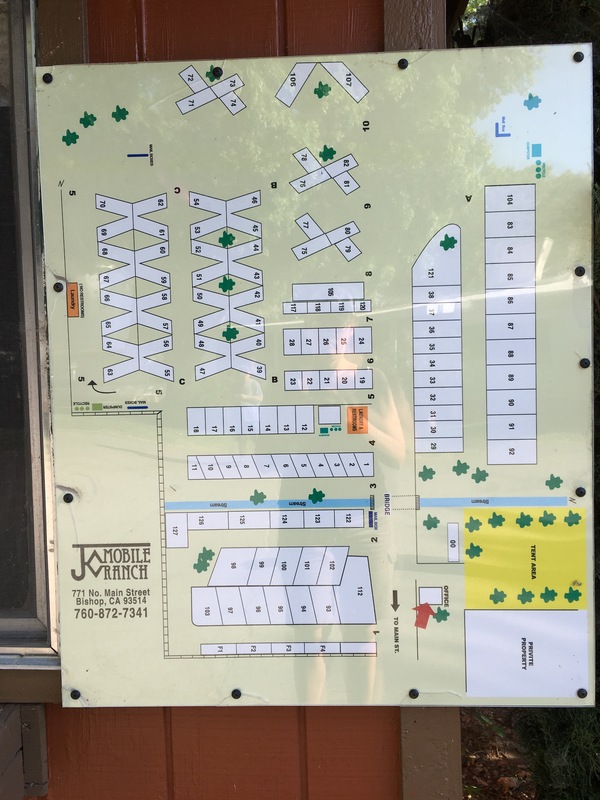 We had our house on the market and needed to have a place to go during showings so we just booked a few weeks at the nearby RV Park (which I loved). 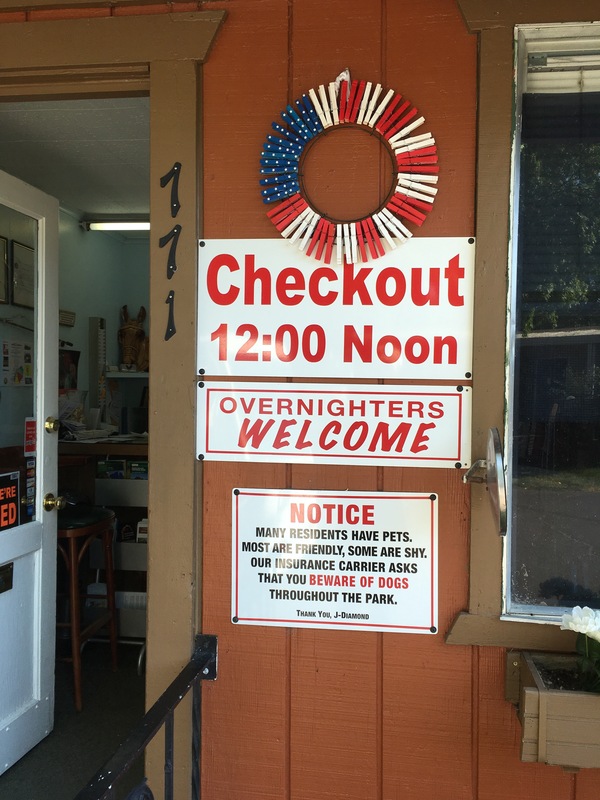 Tapo Canyon RV Park was excellent and the hosts there are super cool. Tammy and Ed gave us a lot of instruction and guidance answering any and all questions we had. I’ll get a post up on that experience later. I’m catching up on my blogging with extremely slow internet speeds plus it is so hot I can barely think. 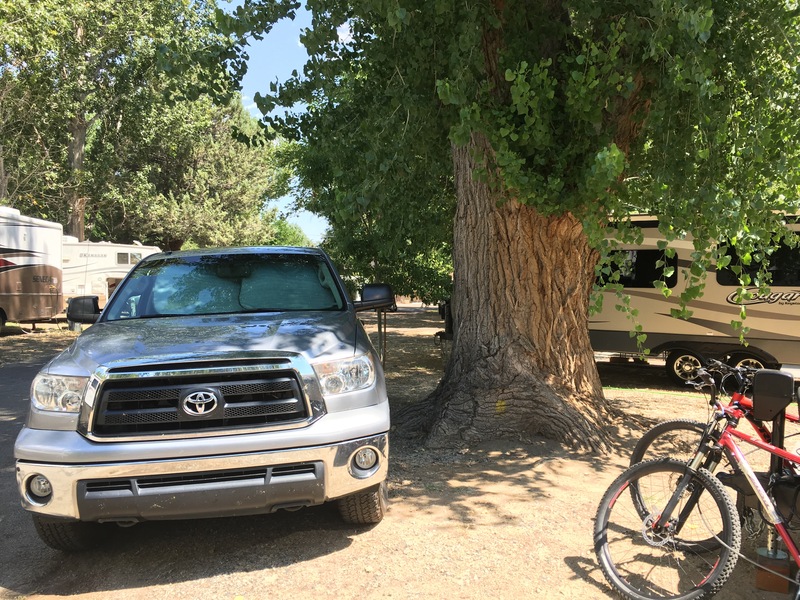 Destination: Bishop California as a temporary pit-stop on the way to Mammoth Lakes. Plan: Swing by the CAT Scales then head to Bishop straight (no stopping for food). Maybe one pit stop for gas and pet time to go potty. Arrive at 2pm and get settled in. See if there is any room at Brown’s Campground (they come highly recommended). Dinner date with The Winterburn’s at 5:30pm. Did you know that a truck towing a travel trailer has three axels. Steer Axel, Drive Axel and Trailer Axel. Joe Stayton and Randy went through the ideal weight on each of these axels. 3900, 4050 and 8800 respectively. In March 2017 we weighed the Lorax 2 and Tundra. The weight limits are for safety purposes and if you know me, I’m safety minded as a natural instinct. 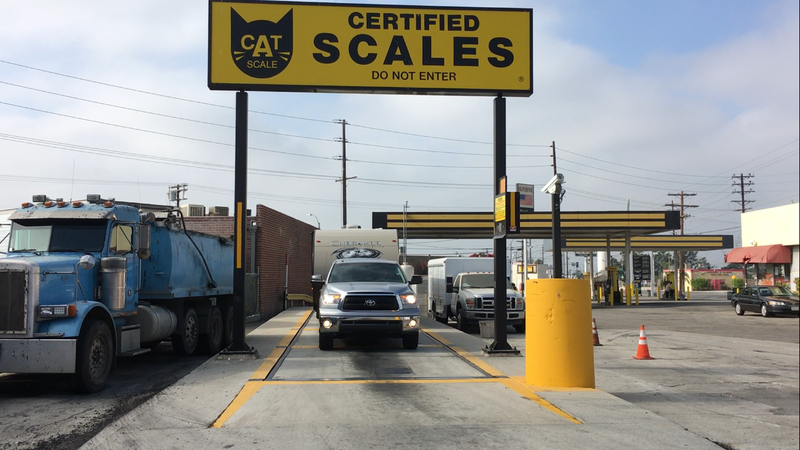 We weighed in OVER on the truck/trailer connection – by 400 lbs! Yikes. We are officially hanging with THE TRUCKERS. Yeah!! The scales do not lie! 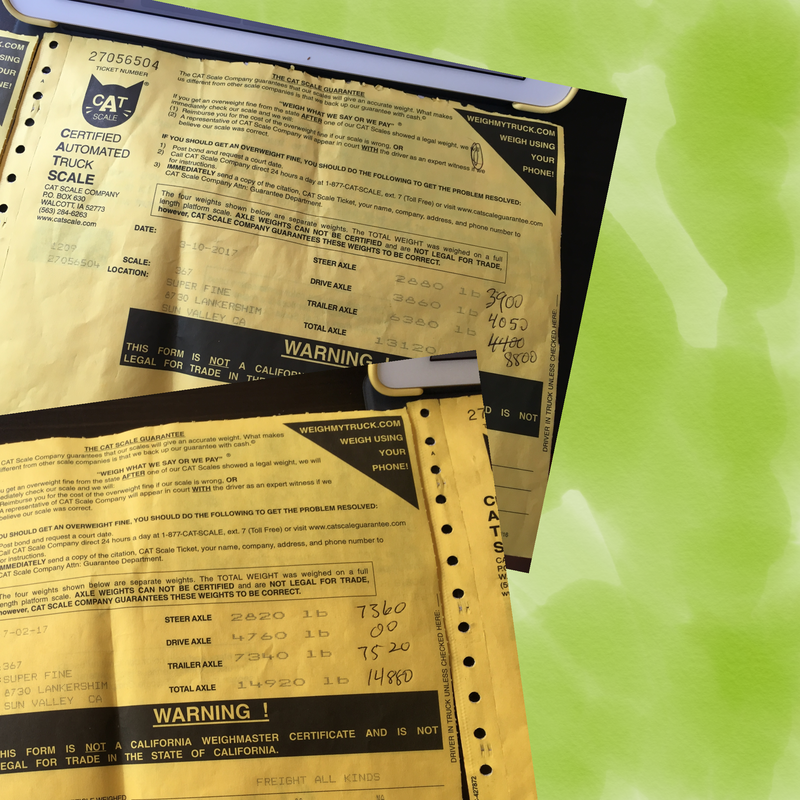 Starting approximately 6 months ago we began reading blogs about towing to make sure we could actually do it. Our truck (Toyota Tundra can haul 9,000). 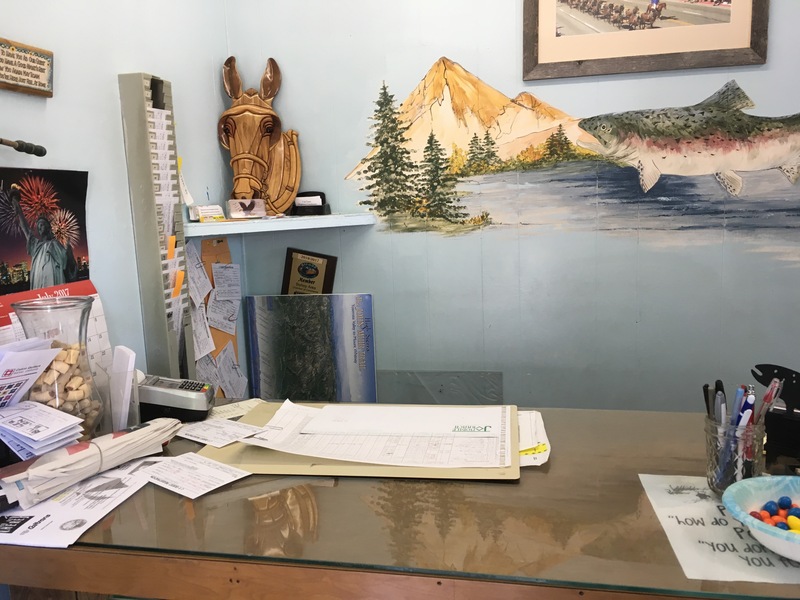 We have kept it maintained by a very professional mechanic (Mark’s Independent Service in Chatsworth) named Mark Goldsmith. We got our tires from Ralph and Steve at Firestone on LA Ave. Both of these businesses can be trusted completely (if you are looking). The biggest issue Randy was grappling with was the weight going DOWNHILL. We have a braking system on the trailer (which is good) and our truck breaks. The plan to head up to Mammoth should be fine. Elevation changes from 4100 to 9000 at Lake George. That is a lot of climbing and eventual descending. 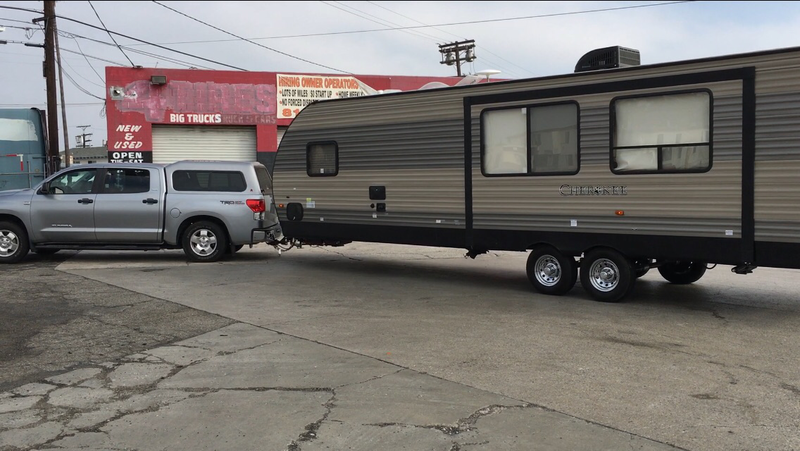 We got the green light from a lot of professional and experienced RV friends. On the flip side, 100% of the fellow RV’ers we spoke to (meeting for the first time) had no idea what their weight was and universally “didn’t want to know…it’s probably over the limit” was the response. Are you kidding me? That’s crazy talk in my opinion. I’m a very safety-motivated person. Luckily it was Sunday and no one was around. 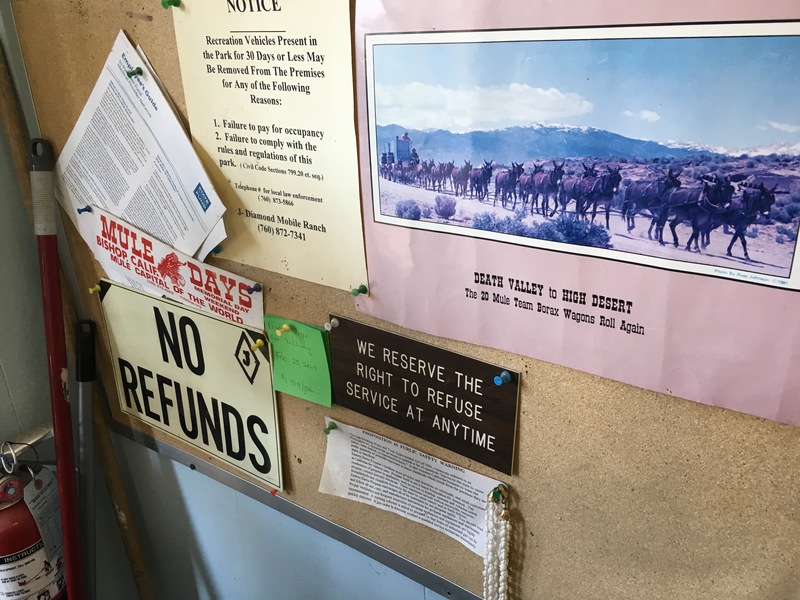 We were in Sun Valley California where it appears the local government does NOT care how shabby the streets are – it was awful. Smelly, dirty and unsafe feeling. That took us an hour and we were already sort of on each other’s nerves. Kona and Zoey are seasoned to ride and get the entire backseat of our truck. It’s like a couch it is so large. Piper, on the other hand, doesn’t always dig it at first and is a bit nervous clinging onto things and meowing. It took about an hour after leaving the scales for her to chill out and find her “happy place” in between us on the arm rest. She got up and wandered around investigating off and on but for the most part just slept. ​ ​We had to stop to get gas and let the dogs go pee. The first rest stop we drove into had a giant grassy field with an enormous sign that said KEEP DOGS OFF GRASS. Where are the dogs supposed to go? Oh, the baking heat dirt area. What a crock of BS. I have my eyes opened up more and more with the ignorance humans have toward animals in general but this one is ridiculous. A dog needs to be on cool grass compared to boiling hot dirt. Who MAKES these sites?! I’d guess a really crappy dog owner or person that does not own a dog or any other pet. I made a pact / wish to myself that I’d help create SAFE PLACES for dogs to visit at Rest Stops. I will say that the CRAPPY DOG OWNERS (the ones that do not pay attention to their pets because they are on their phone so they don’t see them pooping, that do not carry dog waste bags to pick up after their pet, that let their pets walk across boiling hot surfaces, that leave their dog in the car so they can run into the store ‘for a sec’, that use their dog for entertainment of others) make life difficult for pets. Personally I’d lobby for stiffer penalties on any abuse of animals. ARRIVAL TIME! HELLO BISHOP CALIFORNIA! It was over 100 degrees when we spotted J-Diamond RV Ranch and Mobile Home Park. The entry is right next to Schat’s Bakkery down a long driveway. At the stop sign is a small office and where we checked in meeting Rachel the Camp Host (one of 3). She assigned us to Site 99 and I admit I got a little happy about it because I just like that number. We were all anxious to get OUT of the truck after the 5 hours of driving. We left the AC cranking in the truck with the pets while I held my breath at the challenge that faced Randy in backing our trailer into its new space. We had 25 feet between a tree (VERY LARGE) and the next door neighbor’s rig. The neighbors were home which meant we were the latest hot entertainment item on the agenda to watch. Wife “helps” husband navigate into trailer space. This is the TREE we had to maneuver around to park.